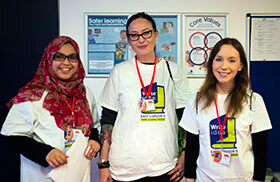 Writeidea is part of Idea Store, Tower Hamlets Council innovative library, learning and information service. 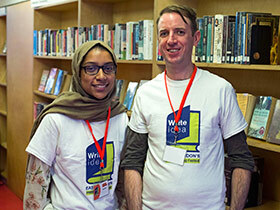 The festival has been running since 2009 and is part of the Idea Store programme of FREE book-based activities for adults and children which are aimed at getting more people to read - and getting people to read more. 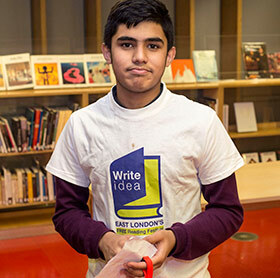 In the past we have had Jonathan Coe, Esther Freud, Owen Jones and many others and all events are commissioned and run by Idea Store staff. • Are you aged 16 years or older? • Are you interested in hearing authors speak at an event?? • Do you want to help readers to hear authors? If so then you have found the perfect volunteer role for yourself! • Meet and greet the authors. • Assist with evaluation: engaging with readers who attend the festival and asking for their feedback. • Helping events run smoothly and creating the right atmosphere; so that audiences and first timers in particular feel comfortable. • Have an outgoing personality and can speak to people will confidence. • Are able to solve problems. • Are able to take guidance. • Come with skills that they want to put into practice. • Work as part of the events team. • Help deliver a fun and informative event to individuals, families and groups. • Have the chance to meet new people and build friendships. • Build on existing skills and interests. • Attend a briefing before the festival. • Attend a maximum of 2 training sessions. • Attend at least 2 out of the 3 days of the festival. • Wear a t-shirt and badge on the festival days. Please complete the online application form - and we will be in touch near the time.